I must say that the fall season is beginning to be my favorite season! 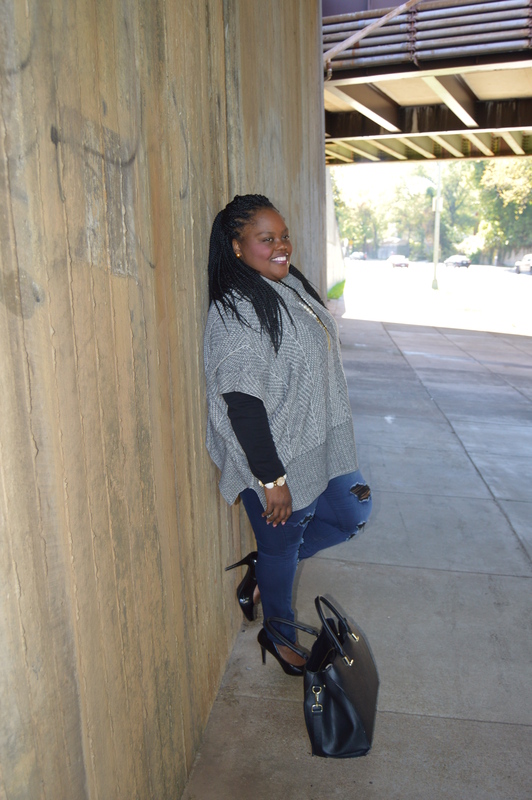 This season allows you to wear cool and edgy outfits and still look sporty and curvy! 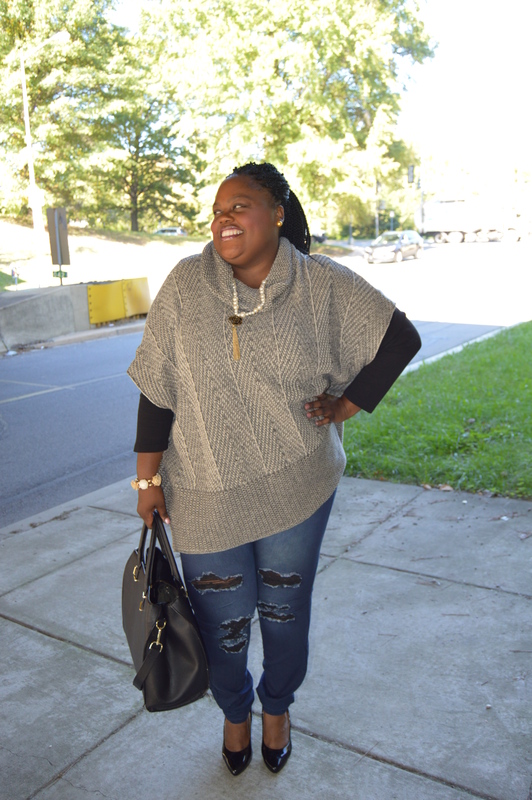 This gray and tribal design poncho is perfect for those cool days in the fall, but can be worn in the winter too. The poncho is very warm and hangs right above the thigh area. This poncho can be design with a belt or just be worn without as pictured in the photo. I love the jeans! 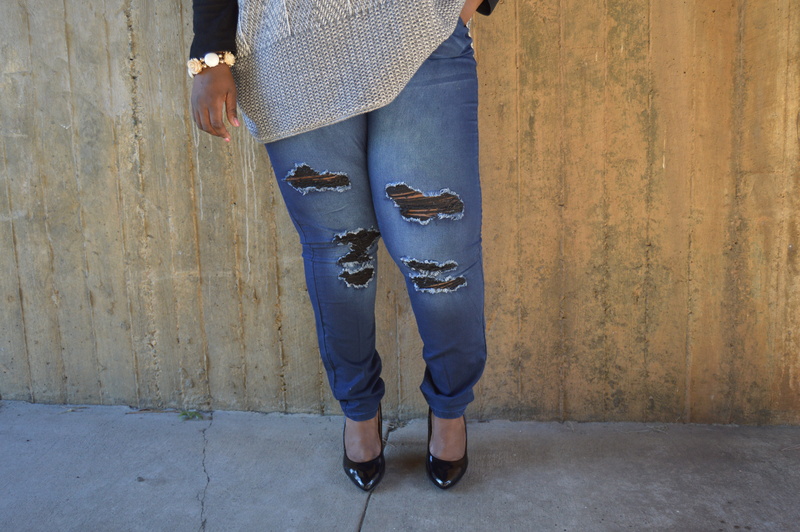 The jeans are from Fashion to Figure and the distressed and edgy look add that flare of daring. This outfit can be worn to work and later after with the girls for a drink. I love this outfit for it has that sassy and chic look. 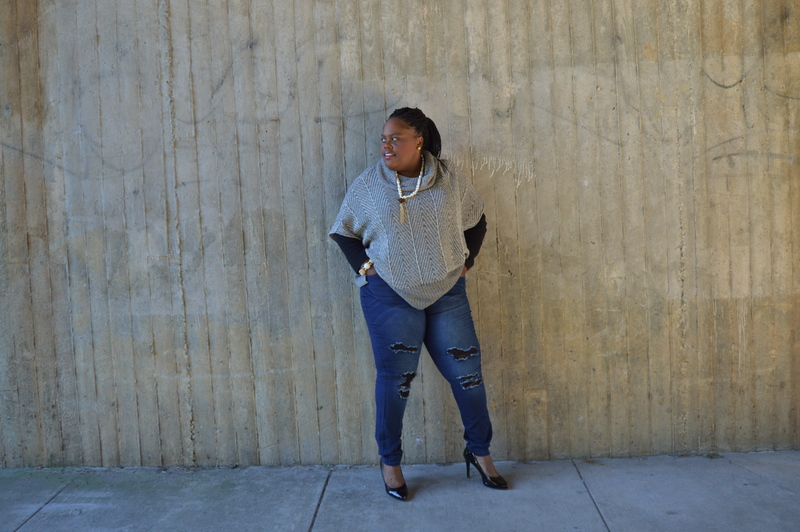 Plus, when wearing jeans you can’t go wrong, for they are met to be worn in any style. 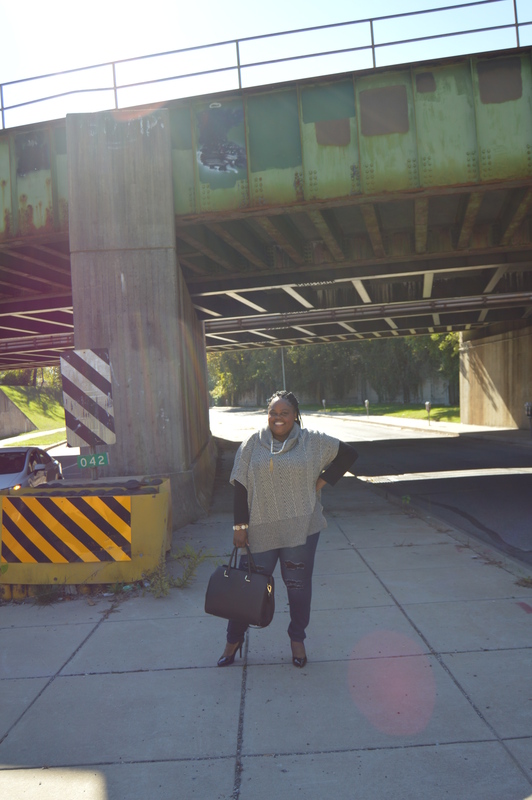 I paired this outfit with some plain, patent heels, and elongate pearl necklace and huge ebony bag. Happy looking and please do share how you rock your jeans in the summer!